Sick building syndrome is for many of us an enigma. The legislative precedents currently being set in North America underline the need for rational examination of the problem. This new collection of expert writing will help unravel the complex issues involved. 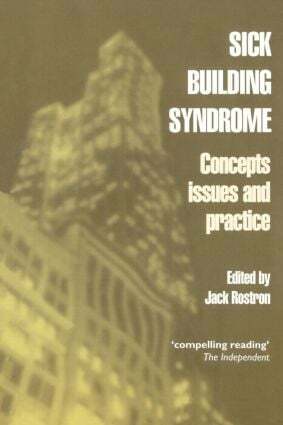 The book explores sick building syndrome from a range of perspectives: architectural, medical, psychological and legal. Each chapter offers detailed insights into the condition and taken together they highlight the need for a collaborative approach. The effects of sick building syndrome should not be underestimated as it is thought that up to 30 percent of refurbished buildings may suffer from the condition. Extreme cases may lead to increased absenteeism among employees, reduced performance and ultimately building closure.